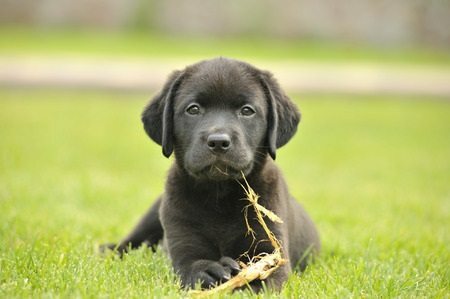 We are a British Labrador breeder that proudly serves residents throughout Minnesota and beyond. Welcome to KT British Labs! We are a British Labrador breeder that proudly serves residents throughout Minnesota and beyond. Whether you are looking for an amazing pet for your family, a skilled hunting partner, or both, we know you will be nothing but impressed by our puppies. When you purchase one of our puppies for sale in Minnesota, you can expect the best of the best. We are breeding Premium British lines of Labrador Retrievers, and we have been doing so for two decades. In addition, we have more than 30 years of experience training dogs. At KT British Labs, we firmly believe that there are three things that make a dog: genetics, genetics, and genetics. Our breeding stock is genetically tested and cleared for EIC, CNM, PRA, and even Hip Dysplasia. We ensure all of our dogs are in top shape before selling them to our customers, but that’s not all. Through our training, we teach our dogs to be both perfect companions and hunting partners. They can go from hunting waterfowl to playing with your children in no time at all, making them ideal for hunters who are also looking for a new family pet. 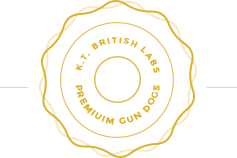 We invite you to browse our website to learn more about our available dogs, if you have any questions, and thank you for choosing KT British Labs!